For 2017, the Awards evening was kindly sponsored by Durkan, a leading construction and development company. 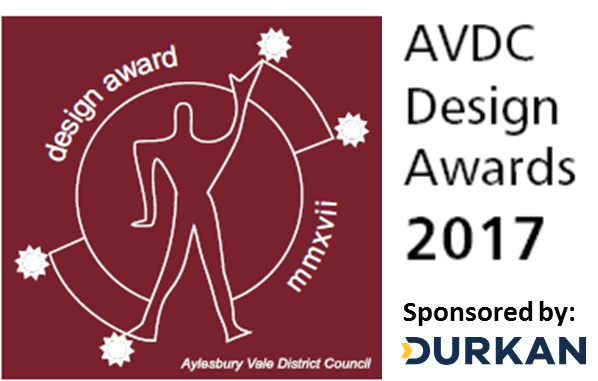 From the nine shortlisted projects, The View in Dadford was selected as the Winner for Outstanding Design and presented with the Design Award plaque. Click here for more information on the winning project. Sat in a conservation area, The Dove House project involved replacing existing building works to provide an excellent balance between modern and traditional design. The brief for White Hart Barn was to restore, repair and bring the space back into use as a modern, comfortable family living space. The result, contemporary materials sat side-by-side with tradition. The local community were extremely engaged throughout the regeneration of Walton Court, transforming the atmosphere and creating a thriving community. A unique office conversion to create 50 residential units designed to meet modern day social needs. With a low carbon footprint Pochard Fishing Lodge has been designed to make the most of amazing views over the lake and woodlands. Designed to take full advantage of the site, Upper Hayne Farm helps capture the full glory of the local landscape. When designing Stoney Furlong, great care was taken to respect the varied architecture in the locality to create an organic and natural extension to the area. Goldswain End is a development of 48 properties all built to the highest standards using innovative technology.